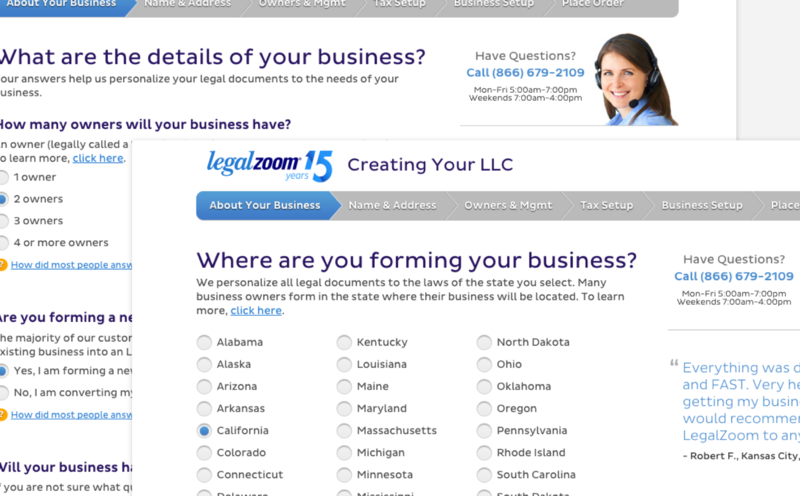 LegalZoom have helped millions of small business owner form and run their business. 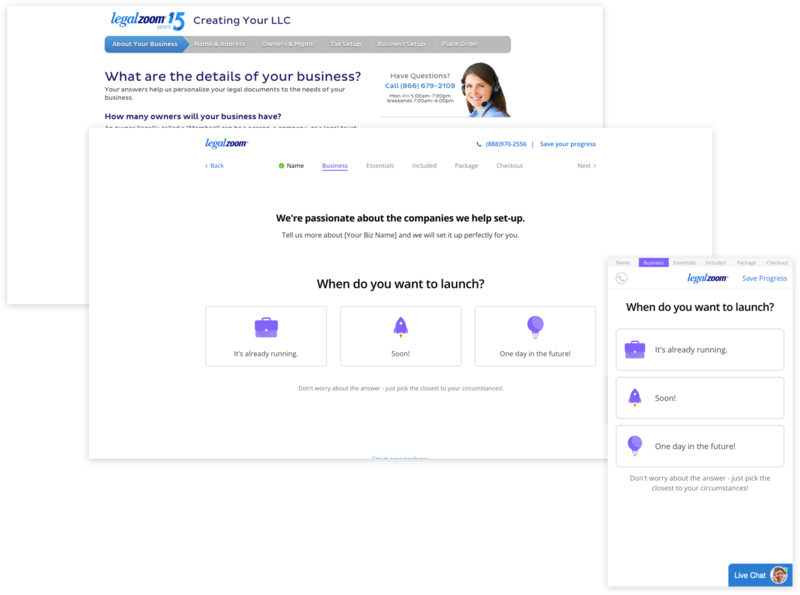 LLC product (Limited Liability Company) generated more than 50% revenue for LegalZoom every year. 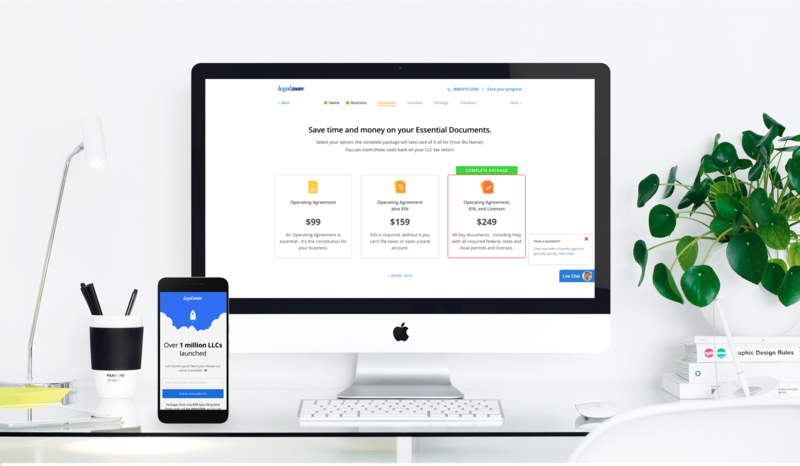 The project is set to increase the conversion rate and average order value by redesign the purchase experience and update the visual design to make information easily digestible. Overhaul the old purchase path and identify user pain points. Working with product manager, customer care and legal team to implement latest requirement and reduce problem orders. In trying to create a better relationship with our customers it is crucial to understand our position in the landscape. From Aug-Sept 2018, we formed businesses with competitors looking at 5 different industry perspectives, hoping to come up with specific ideas to implement/test, product direction and long term product & experience strategy after the research. Understand competitors’ brand, product offering, pricing, web content and marketing. Get a better understanding of their purchasing experience, customer service, and lifecycle communication. Sharing finding, ideas and insights with multiple teams in Legalzoom. 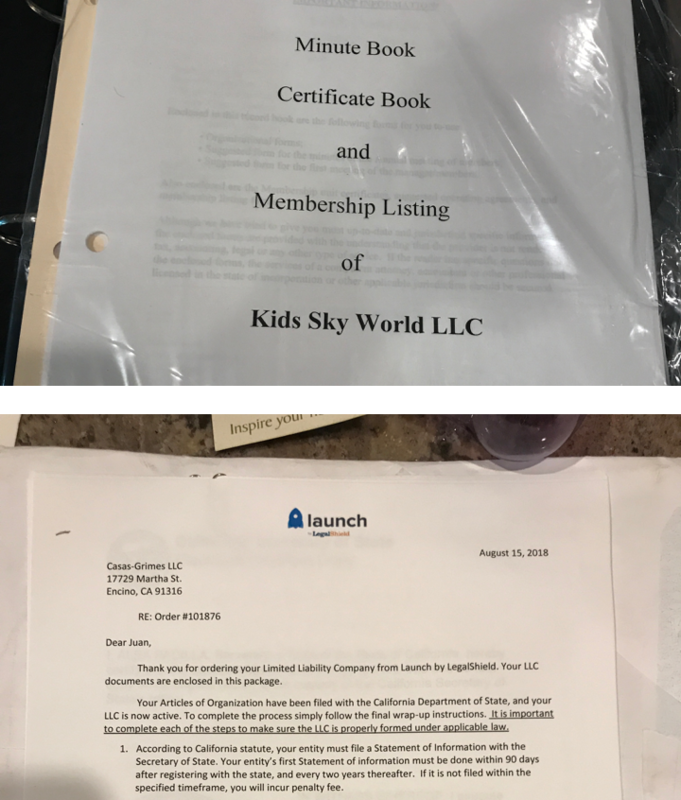 We documented everything we saw and received from research, purchase, to resolve the company. Mapped out all the experience and interaction happened between us and the competitors. Reduce the information presented on one page to reduce cognitive load, and make it easier for user to focus on one task at a time. Create brand new mobile experience for the product and increase mobile conversion rate. 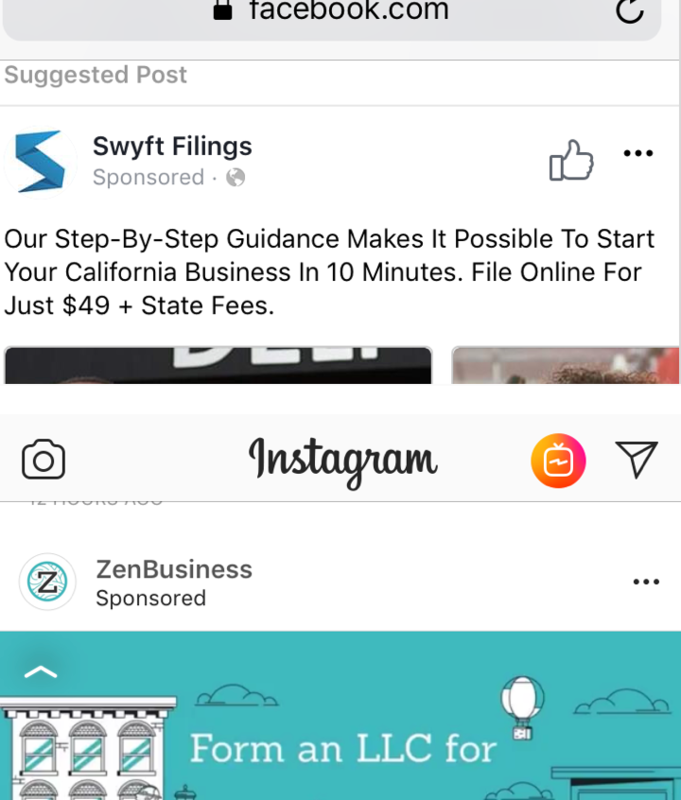 Work with copywriter and visual designer to create mobile friendly copy. A lot of business owner don’t have all the required information right away. Remove the some of the questions to post conversion significantly shortened the questionnaire and increase conversion rate. 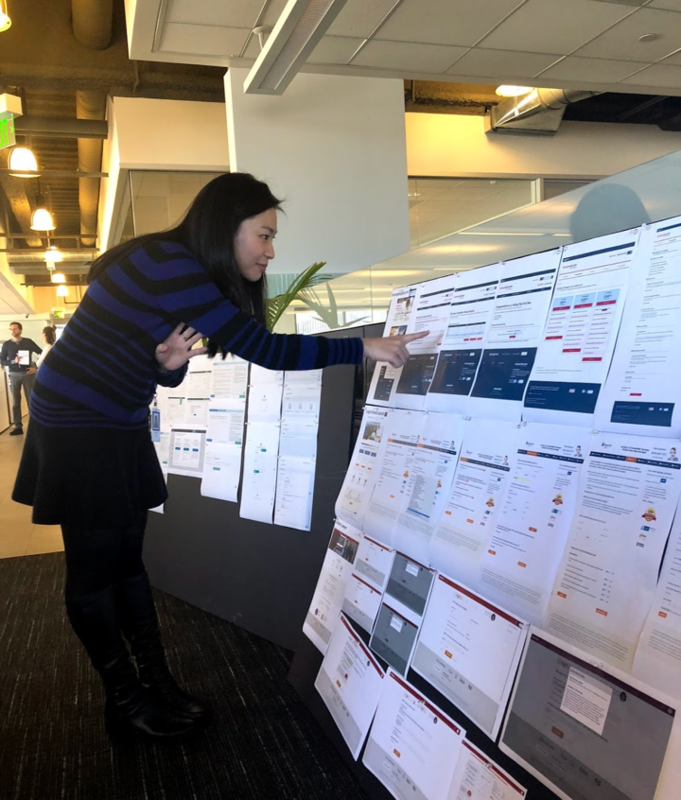 Brainstorm a new end to end user experience from landing page, questionnaire to post purchase experience including my account, email reminder and business milestones to help our customer grow. Use A/B testing to compare old and new design. Due to the complexity of professional entity, it’s hard to fulfill those order with current system. Creating service blueprint for the conditional flow to better handle those cases.